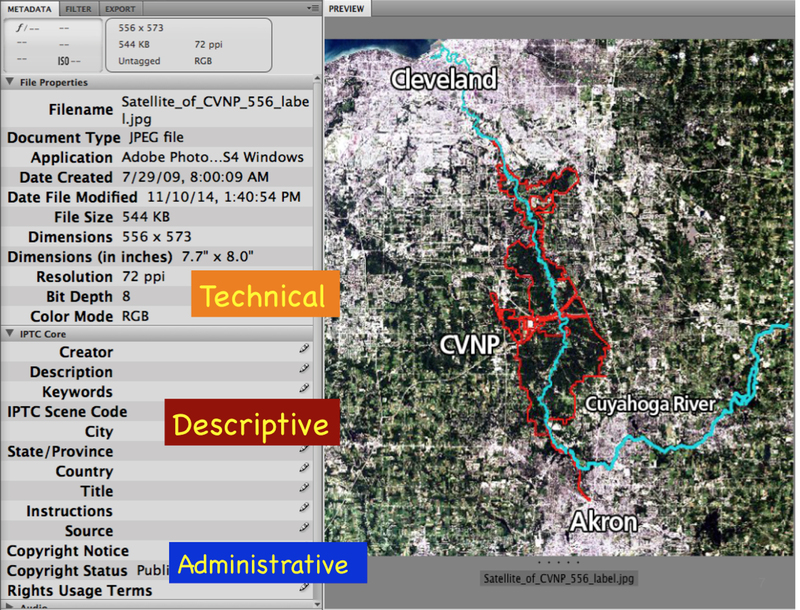 A metadata description uses property-value paired statements to clearly describe the characteristics of a particular thing. Think of labels on food packages (see examples) or bottled drinks that inform consumers about the ingredients and nutritional elements they contain. 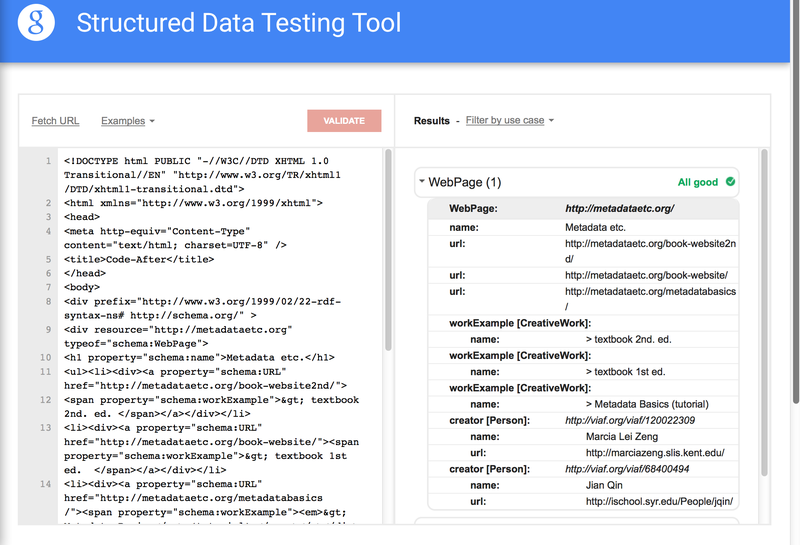 In today’s Web-based environment, structured data describing the characteristics of things are exchanged and used in more flexible ways than a bounded record. Note: For non-HTML text documents like MS Word and PDF files, authoring tools such as Microsoft Word (for word-processing) and Adobe Acrobat (for PDF files) are equipped with templates to support embedding metadata within a file. In the following examples, find out what properties a template provides. 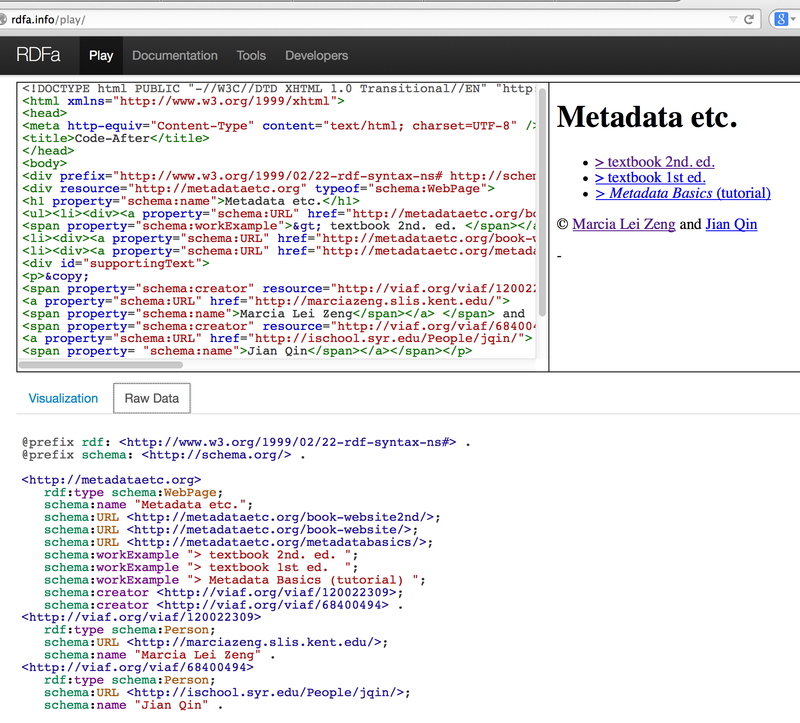 Note: In many websites, metadata records are embedded in the source code of a webpage. 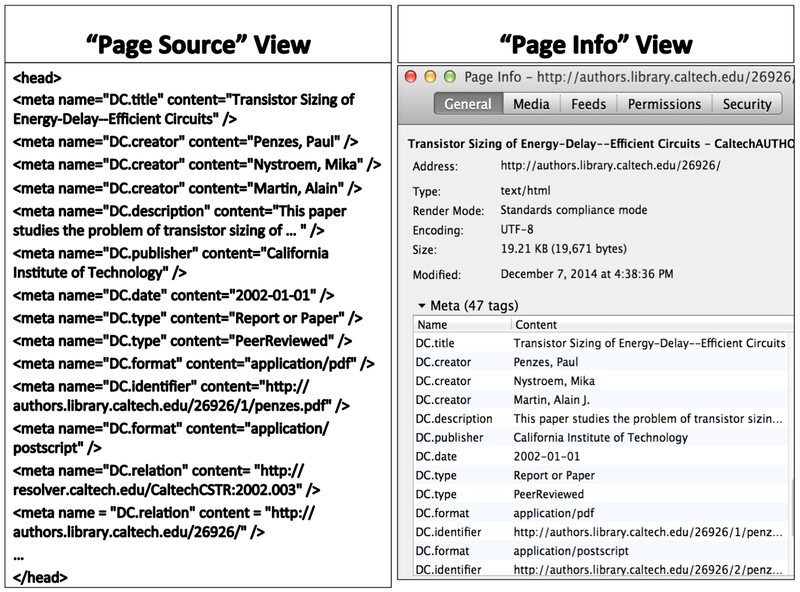 Users usually will not see the metadata when they access and browse a website unless they choose to view the source code. Go through --> these questions based on the cached source code. -- we can consider them as multiple metadata 'statements', or still think them as contained in a 'record'. Note: Some image software allows metadata records about an image to be recorded and attached in the image. When an image is viewed from the software application, it looks as if a record is embedded in the digital image. Values in some elements are automatically captured by the software while others are controlled by metadata creators. Note: Bibliographic databases, digital collections, and digital repositories store metadata records in databases and display the records with a more user-friendly interface. The following examples show how a record could be presented to users and how it is actually encoded or stored in a database. |link to example ==> go to the end of the record and click 'Linked Data'. --Note: This example shows how the encoded record is converted to a different format according to the NSDL metadata structure. Note: follow the linked object such as other persons influenced by Plato, his birth place, etc. to see more. Note: pay attention to the right side of the screen, follow more linked objects to find more. Note: Metadata standards usually provide the best practice guides in their specifications. The examples provided focus on the contents rather than the formats. 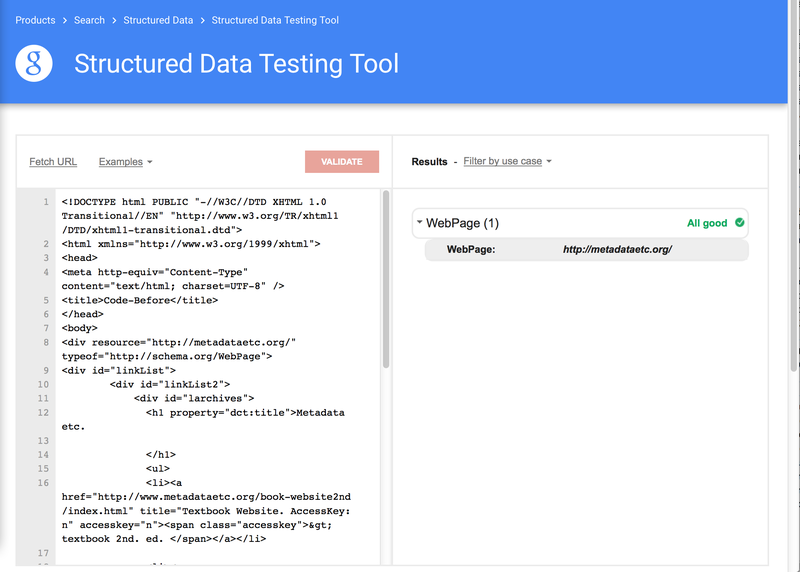 It ensures that metadata elements, structure, and value spaces specified by a standard are correctly understood and controlled when applied to real situations. It is not their intention to provide format guidelines as to how a record should be encoded or displayed. See over 100 examples under "Catalog Examples". Pay attention to the data sets in Example 3 that describe a chair documented by a photograph. The photograph was later copied to a slide format and scanned to create a digital image. Metadata records for various types of works are provided. 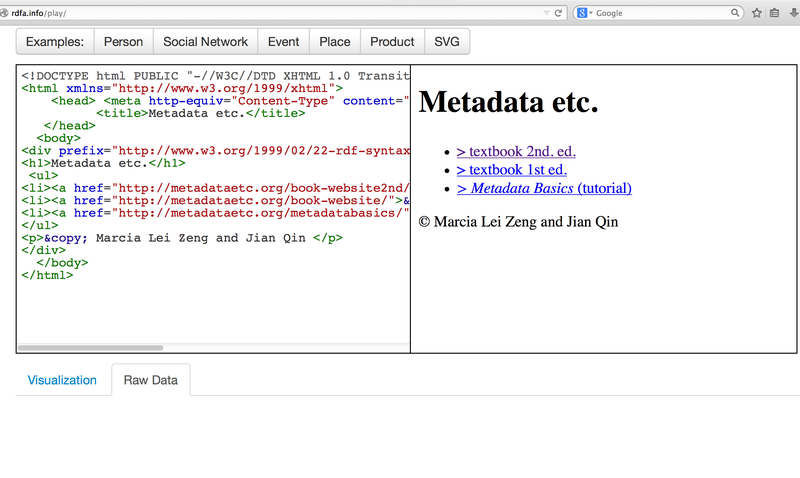 For each work, there is a html display record, a full VRA record, and a record encoded with XML. 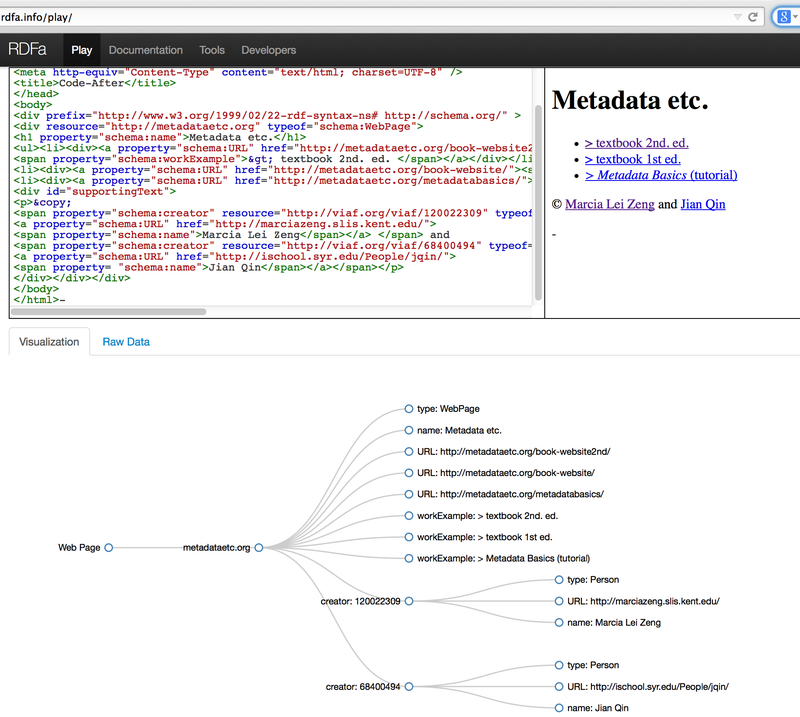 Note: This is an interactive demo, showing how the webpage's content can be recognized by search engines after embedding semantic metadata. -- the schemas used is schema.org, a search engines-developed collection of many metadata schemas. To practice on creating a machine-readable metadata description, check Section 5.